What do we build next? What do users want? How do we validate a product? 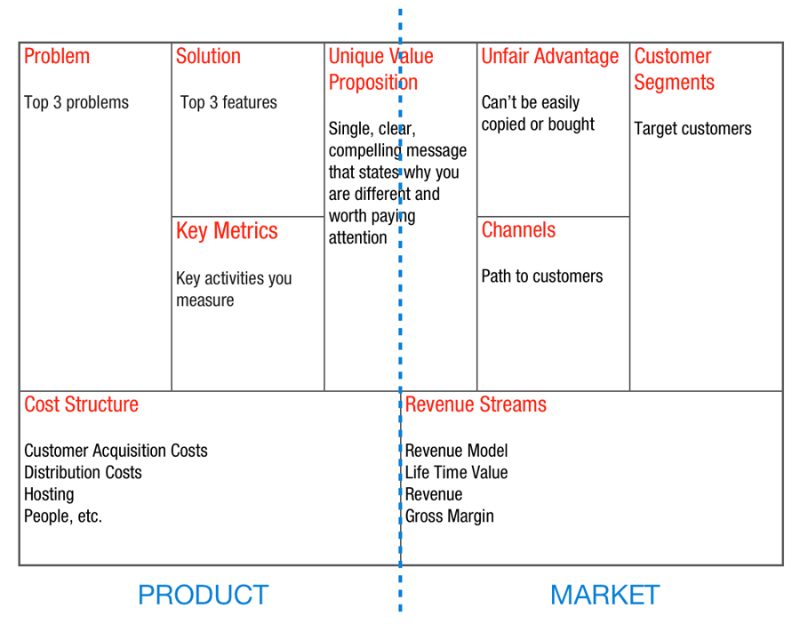 These frequent product questions can be addressed with models and tools. Elastic Tribe favors to first use models because thinking and “why” drive the execution. 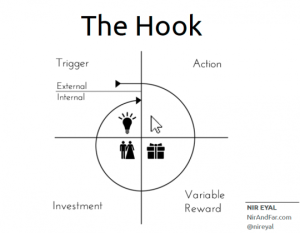 After a strategy is formulated, tools help manage the variable scope. Visual models are critical to communicate a vision and a story to a diverse group of disciplines and stakeholders. Simple models require zero adoption learning curve, favor focus and quick iterations. Adaptable models enable different scenarios to be tested so that learnings can be applied. What are recommended Elastic Product Models? 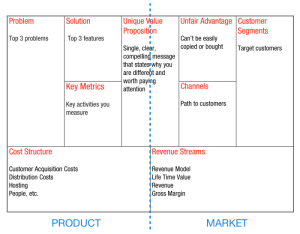 The Lean Canvas is a one page document and is best fit for startups. 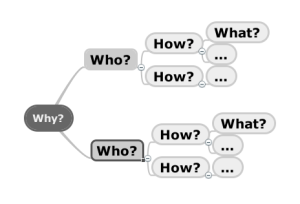 It is visual because you have a hard constraint – one page! 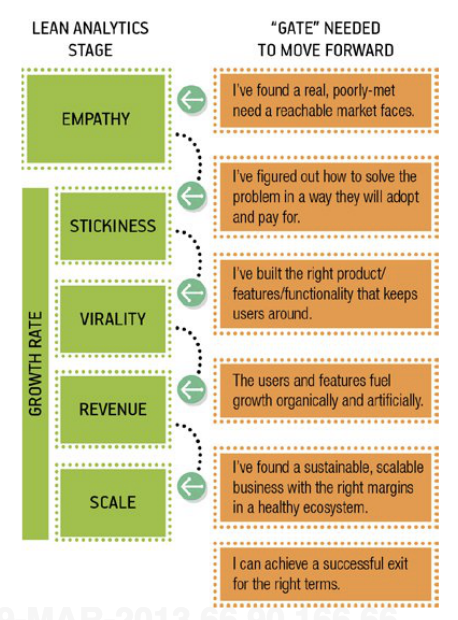 It is simple because you only need to complete seven steps to find out if a business model can be profitable. Finally, it is adaptable because it can be re-written quickly versus a traditional lengthy business plan that have taken you months to write. 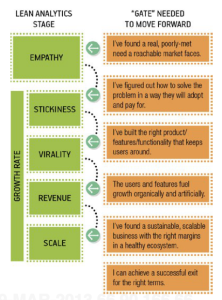 The Lean Analytics Stages is a growth framework to understand where you are in the journey. It is visual because it relies on data analysis to make informed decisions. It is simple because it contains five stages with suggested exit criteria. It is adaptable because you can pivot a business idea when looking at the data. Understanding and promoting behavior is critical. Forget about subjective thinking, personal agendas or long feature lists that are impossible to prioritize. 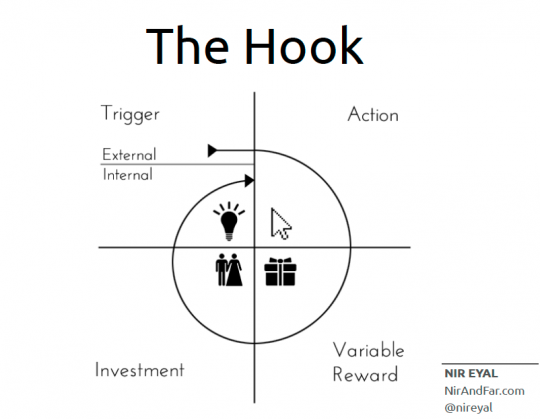 The hooked model is a visual and simple four stage framework. It offers tremendous flexibility to integrate with other products models to define, build and test new user journeys. Focusing on impact and value will deliver growth. 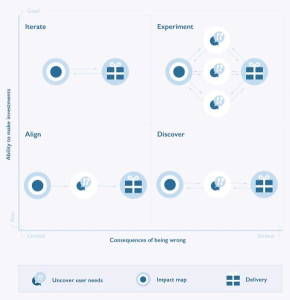 Impact mapping helps visualise assumptions, definedesired business impacts and explore user needs. 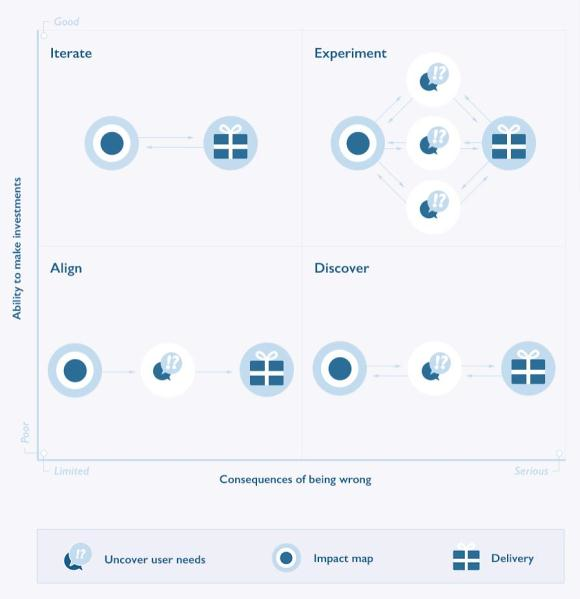 The Kano model is an indispensable visual two-dimensional grid – investment vs satisfaction – that removes waste by working on the correct priorities. 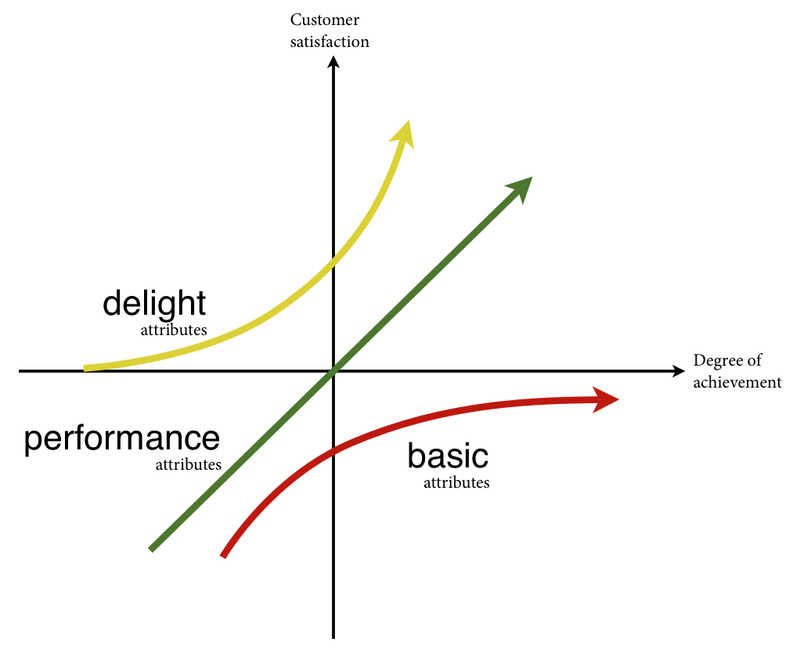 The horizontal axis represents the investment the organization makes, from low to high The vertical dimension represents the satisfaction of the user, moving from an extreme negative of frustration to an extreme positive of delight. 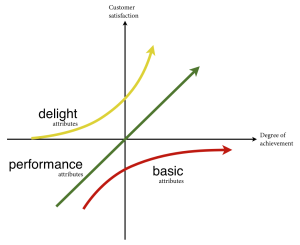 The Kano model shows three forces at work which we can be used to predict user satisfaction against investment made. What is your favorite Elastic Product Model?